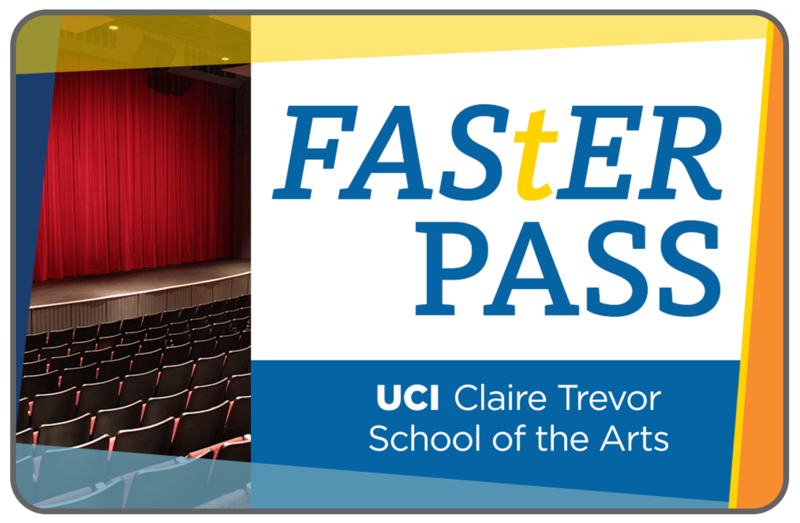 Claire Trevor School of the Arts introduces the FAStER (Faculty/Alumni/Staff/Emeriti/Retirees) ARTS PASS, a pre-loaded card that entitles our UCI family to deeply discounted tickets to the dance, drama and music performances of the cardholder's choice (few blackout dates apply; check with Box Office). Already discounted faculty-/alumni-/staff-/emeriti-/retirees-priced tickets are reduced even more by purchasing an FAStER Pass. Buy a 6-ticket Pass and your cost goes down to $13.50 each; a 12-ticket Pass drops cost to $12.75 each. 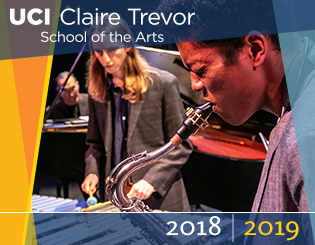 DON'T DELAY -- Purchase your Arts Pass now and enjoy an array of professional quality concerts, dance performances and theatrical presentations. *** Arts Passes can be purchased and/or redeemed online, by phone, or in person. Tickets to events subject to availability. All tickets must be redeemed within the same academic year purchased; unused tickets will not be refunded nor rolled over to the next season. Call 949/824-2787 for more info.